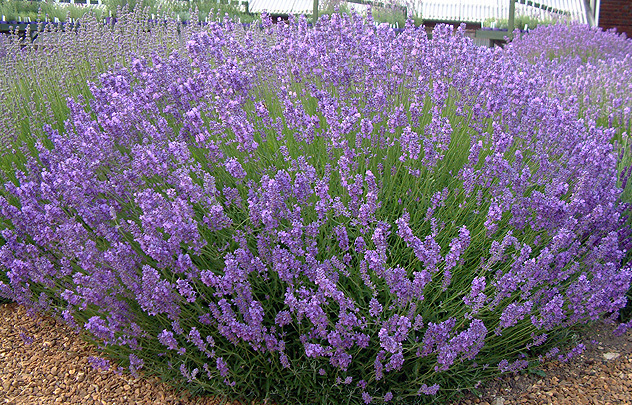 A little known, but outstanding lavender, with a colour bluer than most, making a superb bushy hedge of mid-purple-blue flowers which are mildly aromatic. Grey-green foliage. 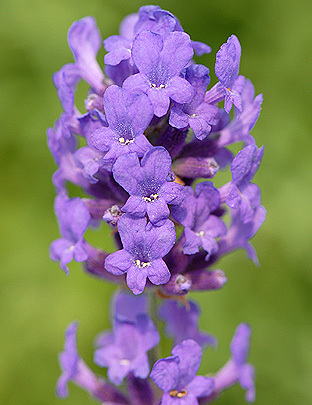 The bluer look makes the flowers appear almost ultra-violet at dawn and dusk as the colour appears to lift off the plant. Introduced in 1933.